Home » Freddy Adu , Martin Odegaard , MLS , Norway , Real Madrid , Spain » Will Martin Odegaard be the Next Freddy Adu? 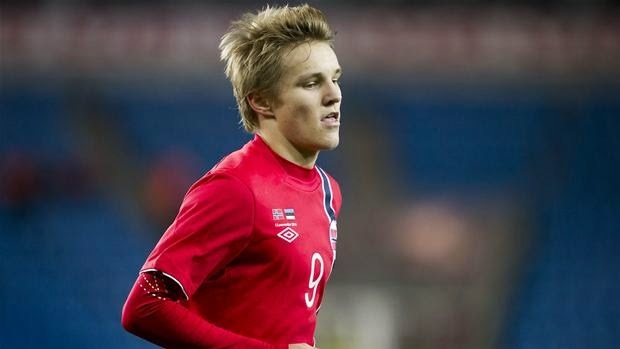 With Real Madrid announcing the capture of 16 year old Martin Odegaard today from Norwegian side Stromsgodset many were left wondering if this kid will be the next big thing or if he'll be an obscure trivia question in five years time after failing to cut it. 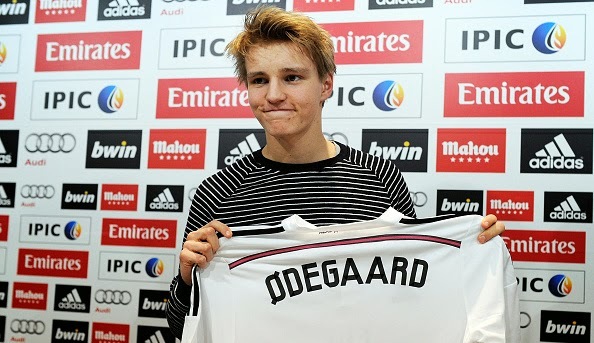 Odegaard, who made his international debut for Norway last year at age 15, was unveiled at a press conference on Thursday after passing his medical. He is believed to have signed a three-and-a-half year deal at the Bernabéu. Moving to Real Madrid, a massive club that is not necessarily known for their policy of bringing youngsters through to the first team is no doubt a gamble for the Norwegian youngster, but £80K a week wages and the chance to train with the likes of Cristiano Ronaldo and Toni Kroos must surely have been too good to turn down. In contrast, when I was 16 I earned $5.90 a hour at a Fast Eddies Burger joint, cleaning out the grease trap in-between getting abused by customers. So Odegaard has already won the game of life as far as I'm concerned. But will he go on to make it as a professional and will he be the superstar he's been hyped as? Time will have to tell on that one, but several renown coaches, like Bob Bradley, and other observers of European Football have already said that this kid has something special. Whenever there is a hyped youngster these days though many of us temper our enthusiasm by casting our minds back to Freddy Adu. 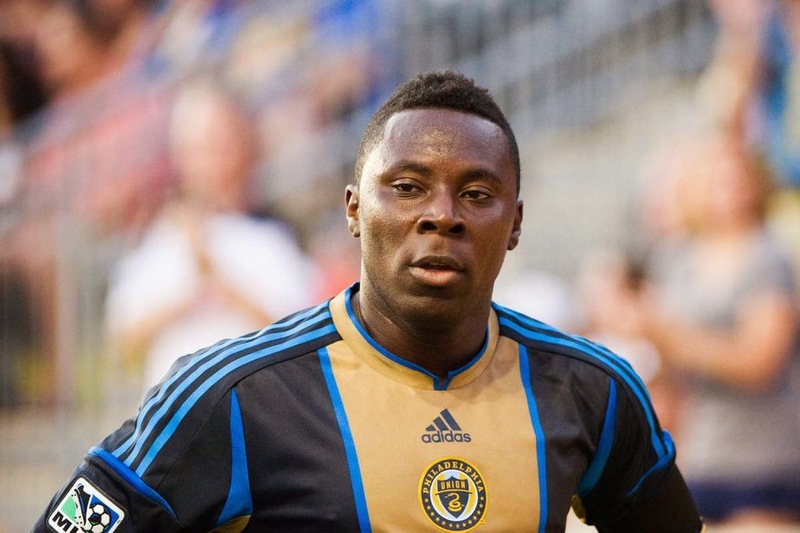 The Ghanian born, US international was supposed to be the next big thing, but after a somewhat promising start in the MLS, his career imploded. Adu has now had more clubs than Tiger Woods, but at least as many cocktail waitresses too, if his social media pictures are anything to go off of. After signing with DC United at 14, and in the process becoming the youngest player in a professional American team sport in a hundred years, much was expected of the supposed "American Pele". Unfortunately from his promising start, he never lived up to the hype and with that comes a mistrust from some of us when the "next big thing" is over-hyped in the media. Hopefully, for his and Real Madrid's sake, Odegaard continues to develop at Madrid and becomes the player they believe he can become. In the meantime I'm a bit skeptical, but we'll see where this kid is in five years.